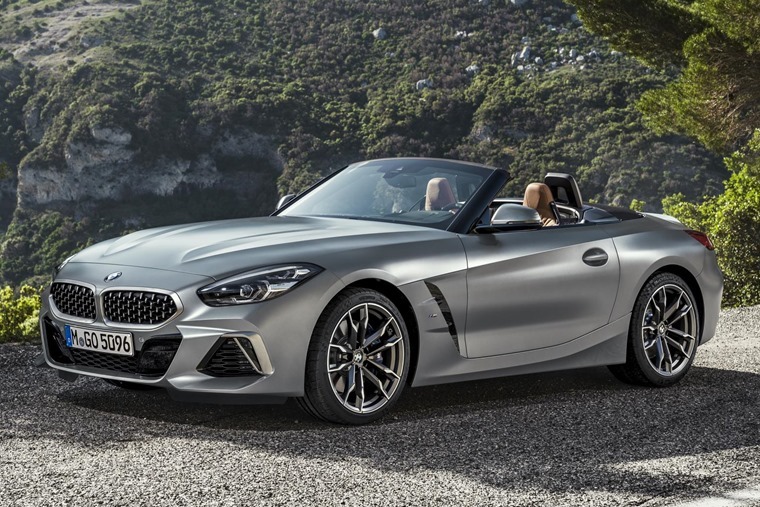 The all-new 2019 BMW Z4 was revealed in full back at the Pebble Beach Concours d'Elegance, and now full specs for the M40i, 30i and 20i have been released. We were originally given a teaser of the Z4 in the form of a concept car, and the production variant sticks pretty close to the original design. 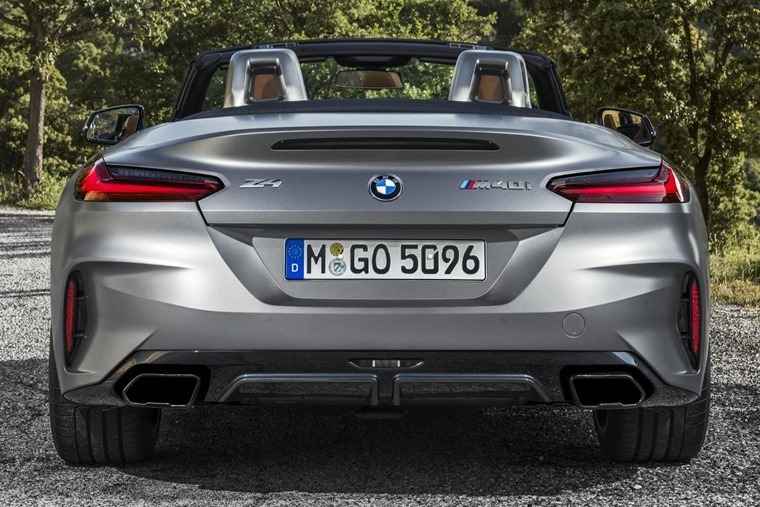 While the proportions generally mirror the outgoing Z4, the new car gets a noticeably shorter wheelbase and a more aggressive look courtesy of those slick headlights and imposing grille. Another big change is the roof, which will be fabric rather than the foldaway hardtop used on the outgoing car. You’ll apparently be able to drop the hood in around 10 seconds. On the inside, you’ll find a host of advanced tech including a completely digital driver instrument panel and BMW’s latest iDrive system that’s controlled via the rotary dial in the centre console. 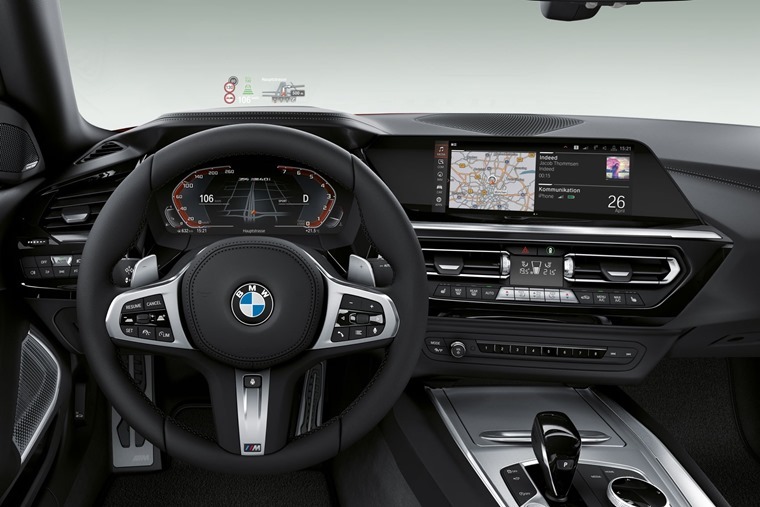 In typical BMW fashion, the fascia and infotainment system is angled towards the driver, while other features on the First Edition car revealed at Pebble Beach include adaptive headlights, a head-up display and stunning Vernasca black leather seats and trim. The Z4 is now 50kg lighter too, while it features an electronic limited slip differential, adjustable dampers and an M Sport-derived brakes. The gearbox is likely to be the go-to eight-speed ZF automatic that features in much of BMW’s range. All this, plus the fact it gets a 50:50 weight distribution, should make it a seriously capable sports car that aims to take on the likes of Porsche’s 718 Boxster. The range kicks off with the sDrive30i, that gets a new 2.0-litre turbocharged engine producing 197bhp. 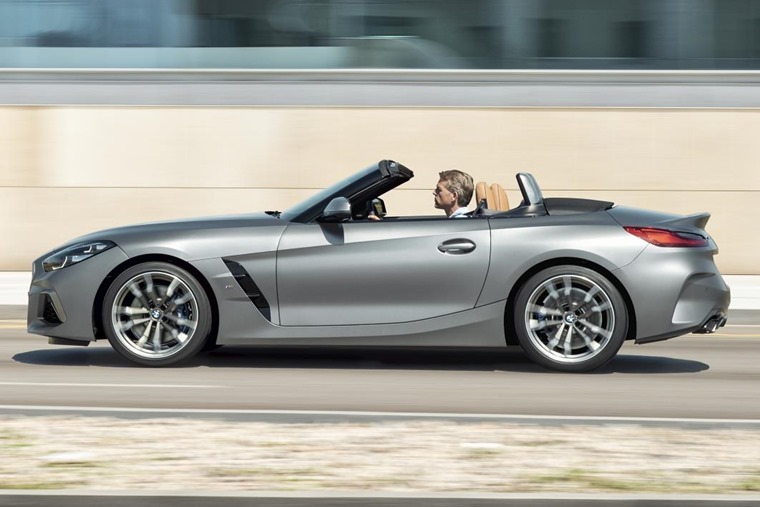 Via its eight-speed gearbox, it’ll get the Z4 from 0-62mph in 6.6 secs and is capable of a combined 47.1 mpg. Next up is the 30i, which is a four-cylinder turbo 2.0-litre. This ups power to 258bhp and results in a 0-62 time of 5.4secs. The range-topping Z4 M40i, however, takes that time down to 4.6 seconds courtesy of a twin-turbo straight-six. We’ve already seen this unit in the M140i and it produces around 340bhp. With a (limited) top speed of 155mph, this is the Z4 to have if you fancy taking on Porsche’s 718 Boxster S.
List prices and lease rates are not yet available, but you can expect the new Z4 to be available from spring 2019. In the meantime, you can check out the prototype Z4 here or read about the upcoming 8 Series Coupe by clicking here.